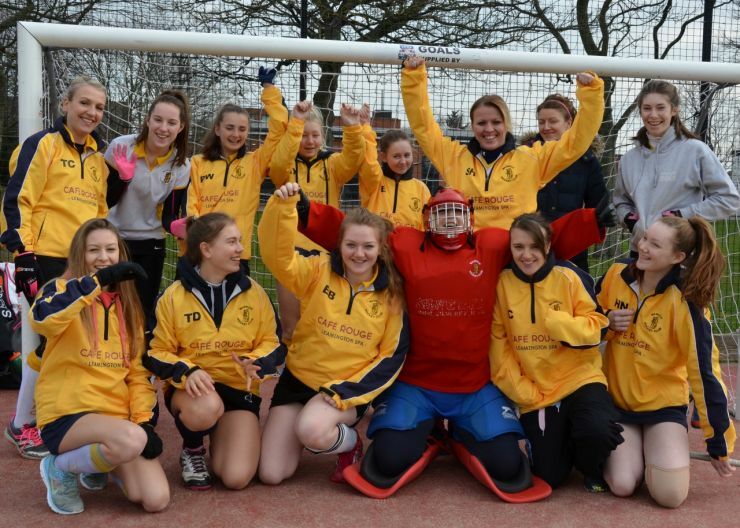 Warwick Hockey Club :: Promotion Decision Weekend for Women's teams? The coming weekend holds the key as to whether our Women's section's most successful season for some years will have promotion hopes still alive for one of the club’s four sides. Best chance of promotion resides with Women's 2nds. With only one defeat since mid-November the team will be closely watching two of their closest rivals battle against each other on Saturday morning. Third placed Stratford look like the only side who could realistically stop the promotion hopes of Warwick, but they are playing a 4th placed Olton side who are undefeated at home all season! Women's 3rds have a tough battle against top-of-the-table Hampton. A victory would keep them in the promotion race, albeit relying on Birmingham Wasps faltering during their heavy schedule of final games of the season. Whatever the results over the next few weeks, Warwick will be the second highest goal scoring team in the Division and Hannah Wishart competing for top goal scorer in the 3rd Division. Women's 1st victory at the weekend pushed them well clear of the relegation zone, thus retaining their position in Midlands Division 2, after last season’s promotion from a Feeder League. The win over 3rd place Solihull was the first for four weeks, and sets the platform for a final three games and the opportunity to move higher up the table. A great season as it can often be difficult to stay up following promotion from a lower league. Warwick Women's 4ths side effectively secured 3rd place in Division 4 with a frustrating but tactical draw over closing rivals Nuneaton. Results and team spirit is a complete reverse of last season when the side finished rock-bottom of all the Warwickshire League's 44 sides. Celebrations from beating promotion side Olton in the previous week continue within this young side that have clearly enjoying the success of victories through playing open attacking hockey. The club thus has the opportunity of all four Women's sides finishing in the top-three of their individual leagues.....a true tribute to the coaches and captains who have developed individual player skills during the weekly training sessions and tactical guidance on match-days. Not to forget the support of the dedicated umpires who support the Women's games and the legion of friends and families who have supported this season's successful resurgence.